The Ozark Mountain Daredevils were among the more popular of mid-'70s country-rock outfits, slotting in chronologically and stylistically between the Eagles and Firefall. As exponents of '70s country-rock, the group rode a wave of success for five years on A&M Records and survived in some form into the 1990s, with a following just large enough to justify occasional record releases in their later years. The sextet was formed in Missouri during the early '70s, consisting of guitarists John Dillon and Steve Cash, blues harpist/singer/guitarist Randle Chowning, drummer/guitarist/singer Larry Lee, keyboard player Buddy Brayfield, and bassist-vocalist Michael Granda, and was signed to A&M Records in 1973. 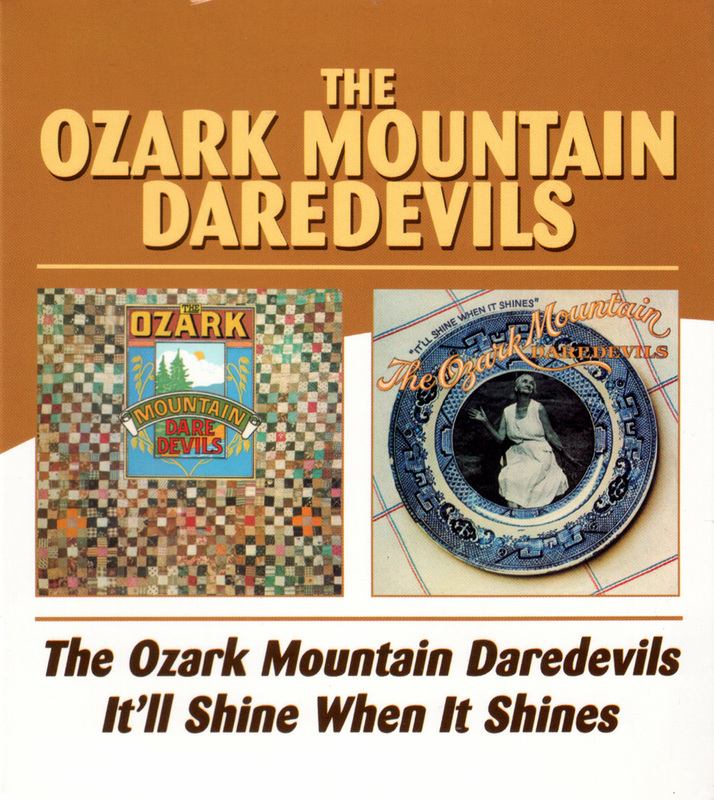 Following the success of their self-titled debut, the Ozark Mountain Daredevils' sophomore release, It'll Shine When It Shines, continues on their already established path of California-style country-rock. This release contained what would ultimately prove to be their greatest hit, "Jackie Blue," which ended up peaking at number three on the pop chart. 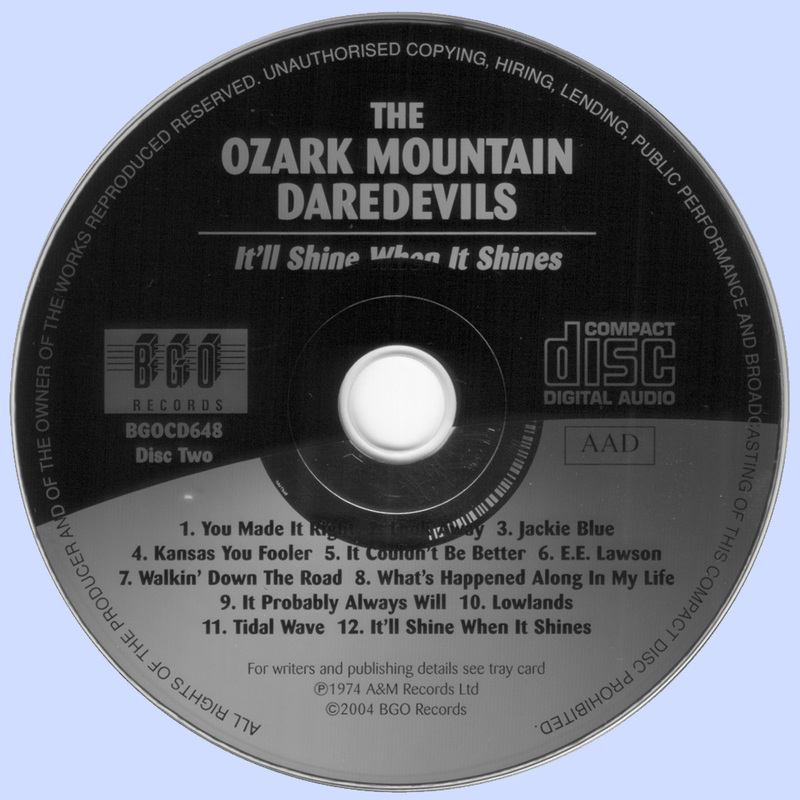 Although "Jackie Blue" is by far the least countrified track on the album, it embodies the casual, understated groove of the band that could be found on any of the Daredevils' releases. 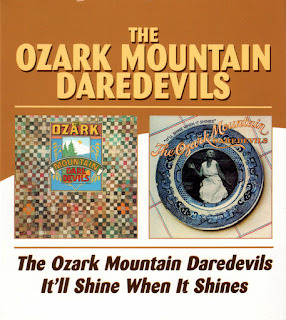 Although when examined closely the album is really three neatly separate albums by three maturing songwriters (John Dillon, Steve Cash, and the underrated Larry Lee), the thread of their relaxed atmosphere and light harmonies runs throughout the album, binding it together as a cohesive whole.